Research by a scientist from the University of Southampton into a process that is threatening to wipe out coral reefs has been recognised with a prestigious award worth 1.29 million euros. Dr Jörg Wiedenmann, head of the University’s Coral Reef Laboratory, has been selected by the European Research Council to receive funding through the prestigious ‘Starting Grant’ competition. Through this scheme Dr Wiedenmann, who is based at the National Oceanography Centre, Southampton, has been awarded the funding for his project INCORALS, which will investigate how nutrient starvation influences susceptibility of reef corals to a process known as ‘coral bleaching’. Coral bleaching is promoted by global warming, and is threatening to wipe out coral reefs. Corals are animals that have a mutually beneficial, or ‘symbiotic’, relationship with algae that live in their tissue. Studies have shown that when water temperatures rise beyond a certain threshold, the corals expel the algae, which can increase mortality of the host and turns the corals white. 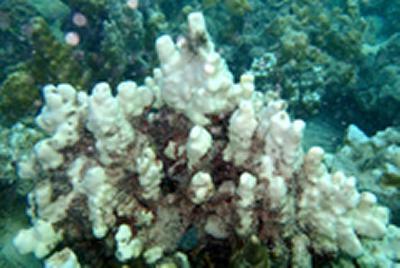 Research by Dr Wiedenmann and colleagues, published recently in the journal Nature Climate Change, found that increased levels of nutrients in the water column can increase the susceptibility of corals to fall victim to bleaching. The INCORALS project will build on these findings and use a range of cutting-edge techniques to investigate the detailed mechanisms that underlie the responses of corals and their symbiotic algae to nutrient stress. The ‘Starting Grant’ scheme is a highly competitive programme aimed at early-career researchers, supporting a new generation of top scientists in Europe. Funding is provided to set up research teams and to develop the best ideas at the frontiers of knowledge. This year the competition attracted 4,741 applications, of which just over 11 per cent were successful in securing a share of the 800 million euro budget. A video about the coral reef lab facility at the National Oceanography Centre, Southampton can be viewed here.